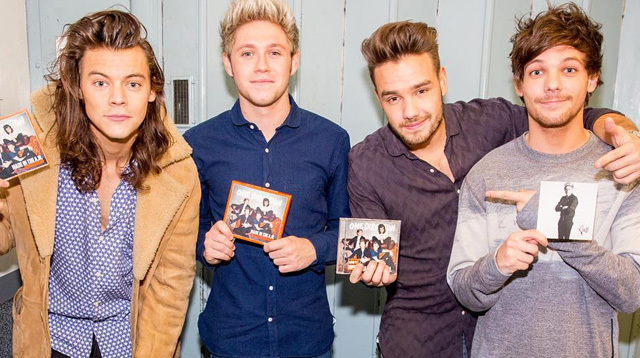 The boys of One Direction bonded over the breakups they experienced while working on their new album. The band has been rocked by relationship drama over the last few months as Louis Tomlinson parted ways with his longtime partner Eleanor Calder, and later found out he is expecting a child with stylist Briana Jungwirth after a brief fling. Liam Payne also split from his girlfriend Sophia Smith last October, and he admits many of those who worked on new record Made in the A.M. suffered similar problems. "A few of us have gone through break ups as this album was being written, right down to the people we write with," Liam tells Sydney Daily Telegraph. Liam goes on to reveal he struggled to maintain his relationship while spending such long periods away from home. "It is really difficult to make a great bond with somebody when you are so far away a lot of the time," he adds. "To be honest, I don't know what sort of lifestyle I am used to. You like being at home but you like being away and when you are at home, you are thinking about going away and when you are away, you want to be home. Relationships are hard regardless and putting the band on top of it adds a whole new weight that you would never expect. It is a very strange circumstance in which to try to devote yourself to somebody when you barely have time for yourself." Former member Zayn Malik, who left the band in March, also went through a nasty breakup shortly after leaving the band when he split with his fiancée, Little Mix star Perrie Edwards. Liam goes on to reveal one of the songs on the band's new album is about romantic breakups but there are no tracks detailing Zayn's departure. "'Love You Goodbye' might just be the saddest breakup song ever. But that's good, right?" he explains. "The album is all about this time we have had together really. I don't think there is a song specifically about Zayn. This band was bigger than any one person in it. This album is meant to be about the fact we could carry on, we could keep this going, rather than writing about things like [Zayn leaving]. We're not those kind of guys, I guess." Liam also shrugs off suggestions One Direction is rooting for their new album to top the charts in the U.S. so they can beat pop rival Justin Bieber to the top of the charts.